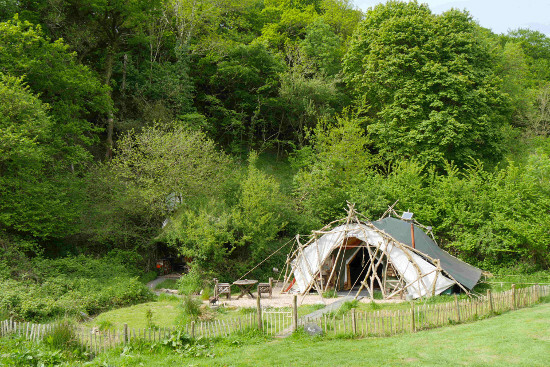 This website has more glamping options in Devon than any other website. Whether you want to escape to the country for a romantic retreat, or you are looking for a mini adventure, we have the perfect place for you. 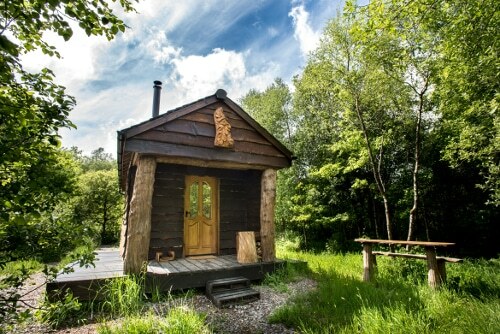 This single cabin in its own woodland glade offers a rare level of seclusion. The beautifully rustic exterior belies the luxury within. It was lovingly handbuilt by its owners using wood -much of which- they harvested themselves as part of their woodland management activities. 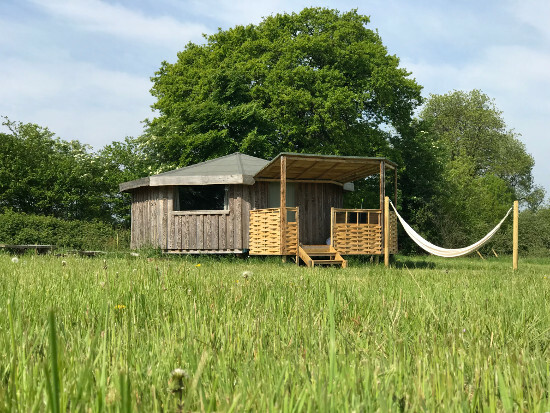 Located in the grounds of the owners house, Zingaro Wagon is a beautiful, locally built barrel top wagon offering luxurious glamping for couples or a small family. Enjoy the cedar hot tub and sauna and the woodburner in chillier months. Luxury ensuite shepherd’s hut tucked away amongst Devon’s rolling hills. Wonderful views. Woodburner, firepit. Village pub a short walk. 10 acres of owners’ smallholding to explore. Tarka Trail and 400 acres of nature reserves all within walking distance. Off road walking. Our quiet campsite at Lane End has much to offer and an ideal base for exploring the beautiful south west. 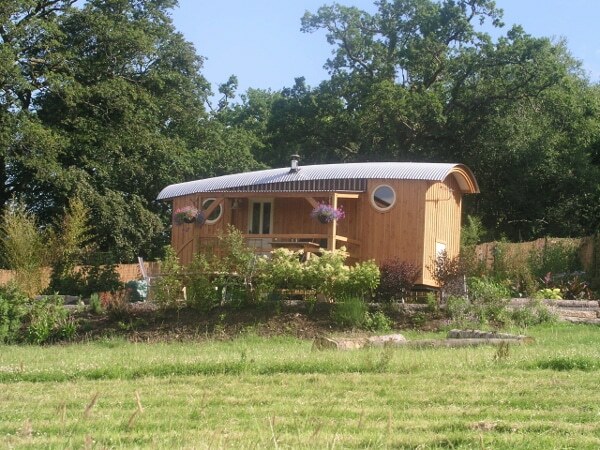 Set in an idyllic green and leafy site, our pods overlook two well-established ponds and woodland. Hideaway Camping is a beautiful, secluded campsite in rural Devon, on the edge of Dartmoor. 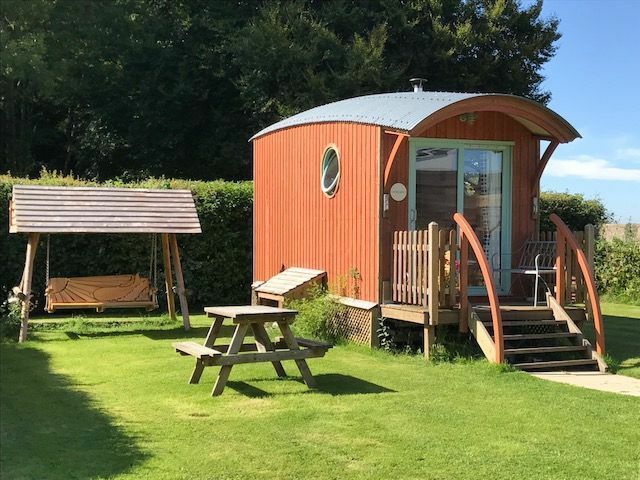 Nestled snuggly within 24 acres of tranquil countryside, Hideaway is close to the charming market towns of Okehampton and Tavistock and within easy reach of the seaside resort of Bude. 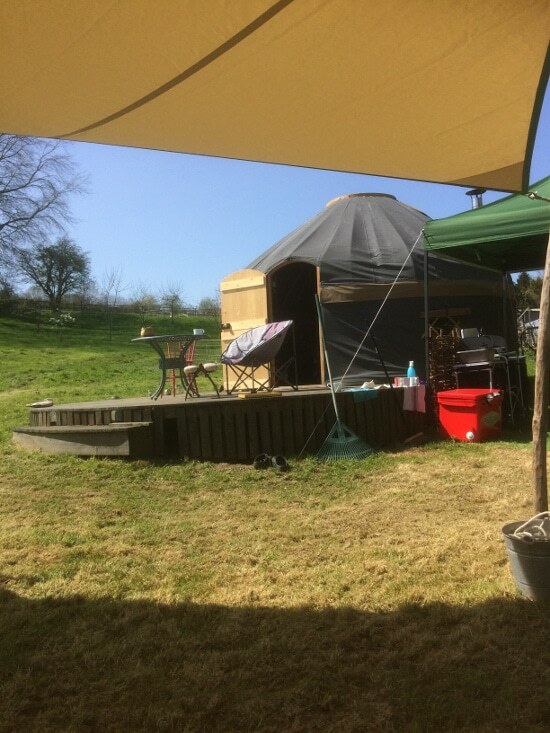 Peaceful secluded yurt camping in Farway, proper beds and furniture, wood burning stoves, campfire cooking as well as basic kitchen facilities next to the yurts under cover. Shower and toilet in a hut nearby with electric shower and plumbed in toilet. Grey Willow has something for everyone, whether you’re a winter camper or a fair weather glamper. A small, family run, off-grid comfortable, cabin campsite. We’re family friendly, group friendly, campfire friendly, and we really like dogs and stars! Leewood a perfect spot on Dartmoor for couples looking for a place that offers a real connection to nature whilst being cosy, unique, quirky, very comfortable and very private. Built with a low impact ethos and Permaculture principals in mind. This website is provided by Bulworthy Project as part of a collaborative approach to working with other small businesses. The idea for the website came about when we were looking into how to promote our little cabin in the woods. 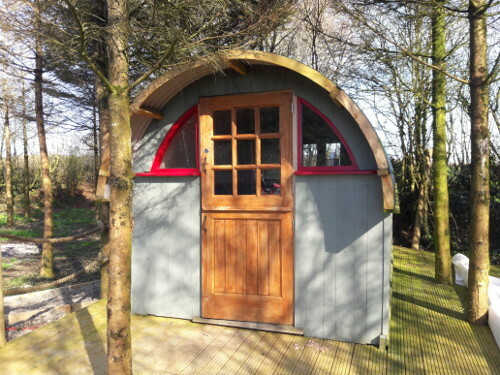 When we spoke to people who provide glamping accommodation, they all advised us to pay Google and Facebook for advertising and list it on Airbnb. We try to avoid giving money to multinational corporations wherever possible, so we looked at other options. 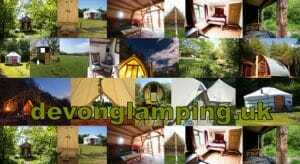 There are various websites that advertise glamping accommodation and take a commission of up to 30%. There are other websites that charge an annual fee. The result of this is that a large amount of money leaves the local economy into the pockets of these marketing companies. 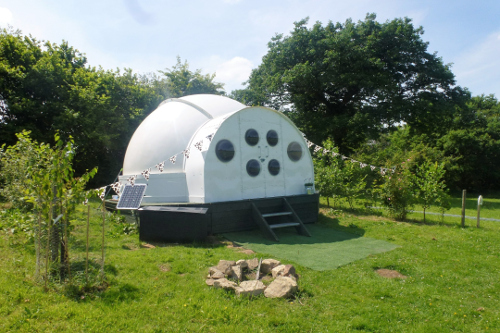 We’re all up for cutting out the middle-man wherever possible, so we created devonglamping.uk, with the idea to reduce marketing costs, not just for ourselves, but for every small business providing glamping accommodation in Devon. Listings on the site are provided free to small independent businesses without any obligation on their part. It is our hope that in the spirit of co-operation, the businesses listed here and others who are interested in assisting small businesses will promote this website through links on websites and mentions in social media.